The City of Machu Picchu offers the possibility of entering in it, through hiking trails that combine adventure and mountain climbing, by ancestral routes through the beautiful Andes mountains and the Amazon eyebrow jungle. Machu Picchu and walking paths as the Inca Trail and the Salkantay trek, give you the opportunity to tour some of the circuits trekking of high mountain most spectacular and finest in the world. What is the best time for hiking in Peru? The best time to mix Hiking and mountain climb in Peru, is during the dry season (May to September); however, the best conditions this season are given in July. Note that proper acclimatization is essential to start an ascent maximum. Furthermore, this will be according to the altitude and the difficulty of ascent to the mountain that you want to climb, either Mountain Machu Picchu, Mountain Huayna Picchu or Mountain Putucusi. Do I have to be an experienced hiker? The mountaintops of these walks, present the ideal characteristics along with a great location to achieve a good experience, this because the weather conditions (stable) of the mountains, besides offering magnificent scenery and incredible accessibility. Then we will guide you, in your attempt to achieve your desired objectives ascent. The experiences that we provided, are aimed at both beginners and experienced hikers. Our walks are designed with adequate levels rise and physical exertion; with difficulties ranging from moderate for inexperienced hikers; until difficult, for those seeking a greater challenge. The different walks, present a technical challenge that coinciding adequately with different levels of experience of the walkers. What is special about the combination of adventure hiking and mountain climbing? When you start your adventure, you should be well acclimated, it provides breathing adjustment needed to meet the shortage of oxygen at that point besides the force required for an ascent of this nature. 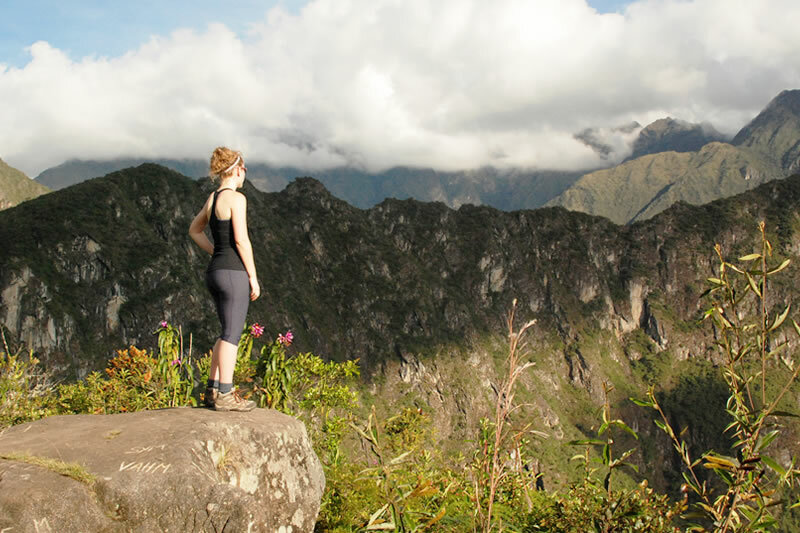 These ruins give an excellent hiking experience in a high altitude through some circuits hike most beautiful in the world, plus drive through them to the Sacred City of the Incas, Machu Picchu. Its semicircular base is bathed by the waters of the Urubamba River and is located in front of Machu Picchu. The hike to the top is quite tiring, and it will take about an hour. But once at the top, you will not regret. With narrow paths with irregular stone steps, amid dense vegetation, by a vertical climb literally. This hike with an easy pace can take about an hour or one hour and a half. Known for the amazing panoramic view that provides of Machu Picchu, even though she herself contains important archaeological remains of the Incas. It has an altitude of 2,693 m.s.n.m. Buy your ticket to Huayna Picchu in advance are only 400 spaces. Machu Picchu Mountain is located south of the city of Machu Picchu, on the opposite side of the mountain Huayna Picchu, has a greater height is 3.082 meters above the sea.The tour is less steeper compared to the Huayna Picchu, to visit this mountain the average time is 3 hours, in this tour there are not ruins but nevertheless worth doing this hike. To perform this hike you need to purchase the Ticket Machu Picchu + Mountain. Around Machu Picchu, we can find important archaeological remains among which we mention the Intipunku or Sun Gate, the Temple of the Moon and the Drawbridge or Inca Bridge. To visit these places, it is necessary to have long time and experienced guides who know the area, as its route has impressive abysses; and some of the Inca trails will show its dangerous side especially if your visit is conducted in the rainy season. Located 1 km southeast of the Inca City. It corresponds to the settlement that protected the city, containing liturgical altars, covers built at tract or intervals, called “ritual stations” by Bigham. With environments and floating walkways, platforms formed by platforms emerging from the side of the mountain. This route represents a danger because of their geographical location. The road to this Inca construction begins in enclosure of ten vains, located south of the city of Machu Picchu. It is a narrow path, deliberately made in the side of a rock mountain. It covers about two kilometers away in a bend interrupts the bridge leading to a great precipice, where the Incas decided to build a drawbridge based on tree trunks, they fit perfectly into the slits built for this purpose, so that not represent remove disadvantages, to prevent the passage in case of any threat. It is an extraordinary Inca construction, of short extension, surprising their fine finish and amazing location. It is an architectural enclosure on the north side of Machu Picchu; to enter must be purchased the ticket to Huayna Picchu. Sculpted inside a natural cave with niches and false door embedded in the rock, it has a huge entrance (8 m high and 6 meters wide). It is believed that it was a royal tomb, shrine, plus lookout.